Take a look at the institutions and initiatives below, essays by disadvantaged people, examples on different projects and events. Get new ideas and inspiration on how to work with those, who are visibly or not so visibly physically disadvantaged. 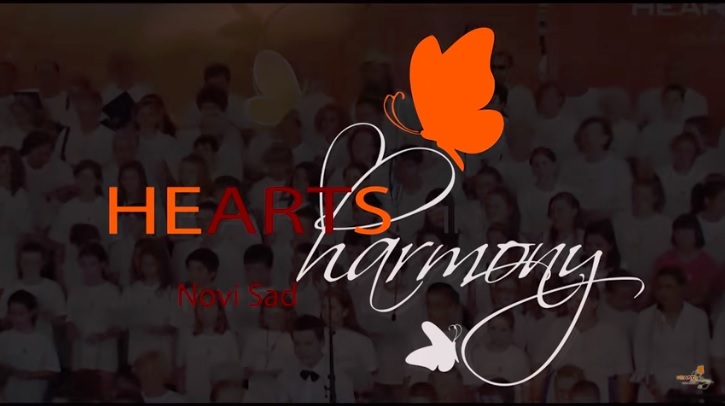 Pető Institute organises Musical Afternoons every Wednesday, where they invite different musicians, music groups, bands playing different types of music – if you click on Pető Institute’s logo, you can watch the video they especially made for our ‘Social Inclusion of Disadvantaged Youth through the Means of Music’ conference on the 27th of Nov, 2018. At the Pető Institute, the temporary segregated education is there for the success of the disabled person’s future social integration. They basically teach the child in each aspect in his/her life to do everything alone, without help (as much as this is possible of course, depending on the level of the child’s disability). The fantastic thing about the Pető Institute is, is that they live their school life the way any other normal school would do, so they celebrate everything, organise everything, such as we do. They do the school year’s opening ceremony, closing ceremony, they celebrate mother’s Day with a little performance by the kids, the same for Christmas, Easter, you name it. They organise talent shows, singing competitions, Halloween, everything. “Blind people do not see darkness. Synopsis: Music and playing music is an integral part of our mental picture of blindness and blind people. There have always been renowned and acknowledged blind musicians, such as Francesco Landini (1325-1397), an Italian organist, composer and poet, John Stanley (1712-1786), an English organist and composer, Joaquín Rodrigo (1901-1999), a Spanish composer and pianist and Tamás Érdi, the Hungarian pianist of our time. That mental image explains why several blind children’s parents hope that music will be their children’s future profession. Although it is proven that not every blind child is a born musician, music and the world of sounds are absolute priorities in blind people’s lives. 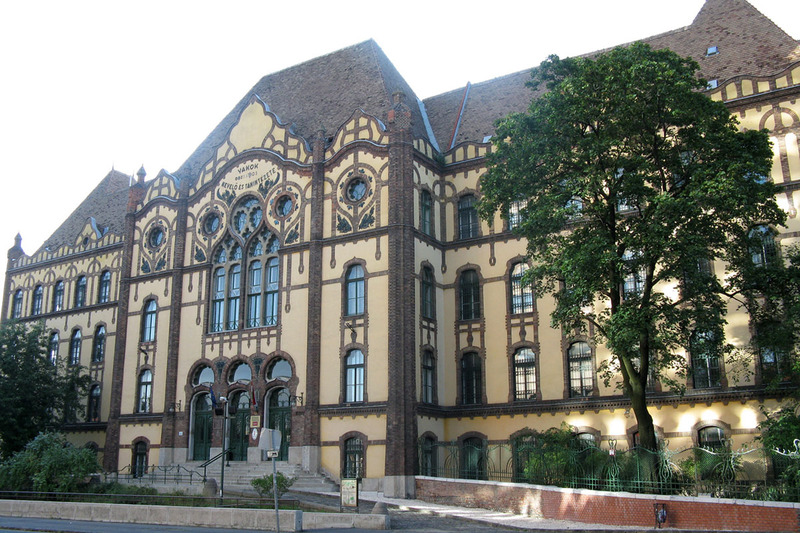 In this essay the authors highlight the inclusive role of music through theory and practice while introducing new concepts such as “blind hearing”, narrating methodologies and episodes from the history of Hungarian blind students’ music education. The authors recall moments of the former-well-known Homérosz Kórus, the blind choir named after Homer, and they also reflect on the current tendencies towards social inclusion through music. Finally, the significance of a new discipline is pointed out , i.e. music in disability studies (MDS) as one possible device to assist music educators, choir conductors and professional musicians to include disabled people in playing music together — examplifying the inclusive role of music. For the full essay please click here. Another publication from Mária Magdolna Flamich: “Pedagogue competencies in the pedagogue training” “Pedagóguskompetenciák az inkluzív szemléletű tanárképzésben” (2017). How can blind people read music? Braille music is a Braille code that allows music to be notated using Braille cells so music can be read by visually impaired musicians. The Braille music system was originally developed by Louis Braille. Braille music uses the same six-position Braille cell as literary braille. However braille music assigns a separate meaning to each braille symbol or group of symbols different from literary braille and has its own syntax and abbreviations. Almost anything that can be written in print music notation can be written in braille music notation. However, braille music notation is an independent and well-developed system with its own conventions. Ung-i-kor is a Norwegian choral association, which teaches choral conductors for this special sign language, for them to be able to include disabled children in their choirs, too. Tegnsang means that we use signs from sign language to help support some of the words in the lyrics of a song. This to include children with hearing disabilities and other language challenges in a choir together with children that does not have the same challenges. This again to create a friendship arena where children with and without these challenges meet in a more equal setting. They all learn something new, which can lead to better communication, understanding, more respect between the children and create a safer environment. The use of sign can take some of the edge of the difficulties of singing, if you use the method the right way, and it can help to learn songs faster and understand the lyrics better. It is natural for children to make movements when singing, and singing with signs is beautiful to watch. By learning signs from sign language hearing children also have tools to communicate better with hearing disabled children outside the choir. Its important for us (Ung I Kor) that ALL children get the opportunity to sing in a choir. The aspect of friendship is profoundly important in Tengsang. 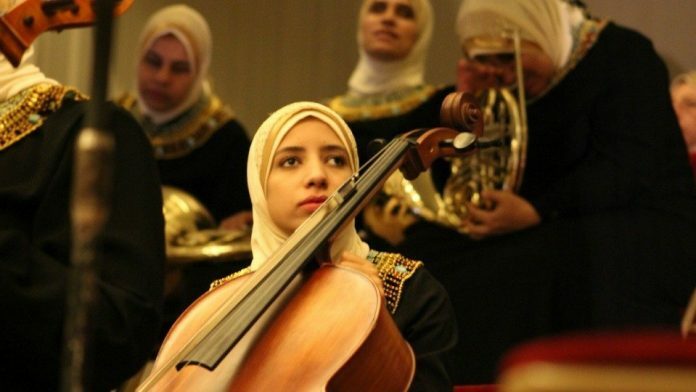 The Al-Nour Wal Amal (Light and Hope) Chamber Orchestra is Egypt’s renowned ensemble comprising solely of women, all 44 of whom are visually impaired or blind. The orchestra was founded in 1961 and has been dubbed “the fourth pyramid of Egypt”. Exuding grit and talent, the orchestra has played in 24 countries across five continents to date, with tremendous applause from dazed audiences having now become inevitable. The orchestra won its uniqueness as the only chamber orchestra in the world entirely composed of blind musicians who play both Classical music, performing compositions by Beethoven, Haydn, amongst others, as well as Oriental music. The members of the orchestra learn the pieces in Braille and then memorise it by heart. The orchestra works under the umbrella of the Al-Nour Wal Amal Association in Egypt, a non-profit organisation founded in 1954. The association provides education, literacy programs, and professional training for visually impaired and blind women in an effort to integrate them into society. 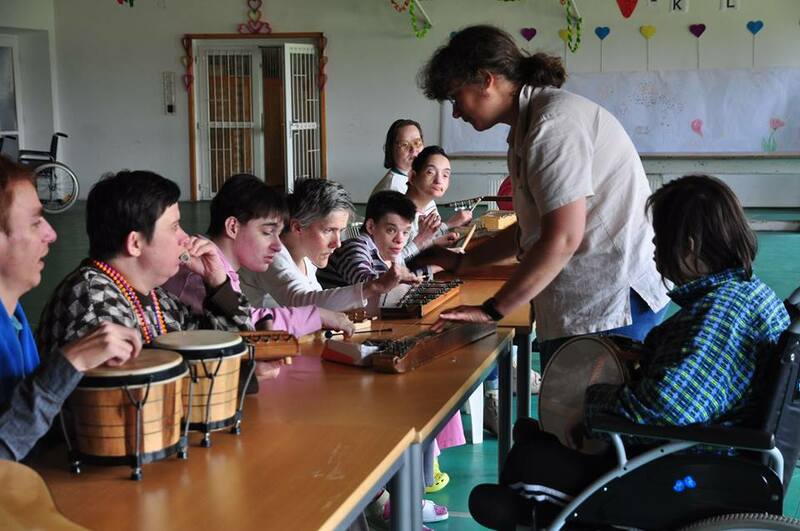 Consonante is a method that offers musical participation for people living with severe disabilities. The method was invented by Luca Tiszai, leader of the Nádizumzum Orchestra playing with this method. In order to make instrumental music possible for these individuals, two key concepts were found. The musical instruments have to be modified to suit the physical abilities of each individual musician custom built musical instruments must be altered to give a consonant accompaniment. The Consonante method provides an opportunity for personal, emotional and intellectual growth, development in perceptual and sensory skills, fine and gross movement, verbal and nonverbal communication, socialisation, attention, emotions, cognitive and learning abilities. By clicking on the photo to the left, you will be able to watch Nádizumzum’s performance on our Nov 27th event. Longitudinal Study of music Therapy’s Effectiveness for Premature infants and their caregivers (LongSTEP) aims to fill a significant gap in knowledge by providing longer term use of music therapy to promote better long-term outcomes for premature infants and their caregivers. Since music therapy for premature infants and their caregivers is an emerging area of practice and research in Norway, this study aims to integrate best available evidence from international developments with standards of practice existing in Norwegian health care environments, to create a model of care that is culturally-relevant for social support societies.